This Artistic Weavers Ateria accent rug is sure to make a statement in any room of your modern home. Great quality is assured with this indoor/outdoor piece made out of plush synthetic material. This rug is comfy, hand-made, and stylish. Make a bold statement with this floral plants patterned beige tan rug. Bring this Artistic Weavers Aceval accent rug into your dining room for an easy splash of style. Complete your home's contemporary design with this indoor/outdoor rug made of plush synthetic material. A durable product is assured with this hand-made rug. This floral plants patterned blue rug makes a contemporary mark on your home's interior design. Place this Artistic Weavers Akkula accent rug in your dining room when you need a splash of style. Bring this high quality plush synthetic indoor/outdoor rug into your home to upgrade your interior design immensely. Modern style and construction is combined in this hand-made rug. This red rug has a fashionable floral plants pattern to add some flair into your home. Place this contemporary Artistic Weavers Atherton accent rug in your home for a piece that makes a statement. Modernly designed with you in mind, this plush synthetic indoor rug will be a great addition to your home. The machine-made construction of this rug makes it high-quality and durable. This geometric patterned beige tan rug makes a contemporary mark on your home's interior design. Ateria Beige Tan 2 ft. x 3 ft. Indoor/Outdoor Transitional Rectangular Accent Rug This Artistic Weavers Ateria accent rug is sure to make a statement in any room of your modern home. Great quality is assured with this indoor/outdoor piece made out of plush synthetic material. This rug is comfy, hand-made, and stylish. 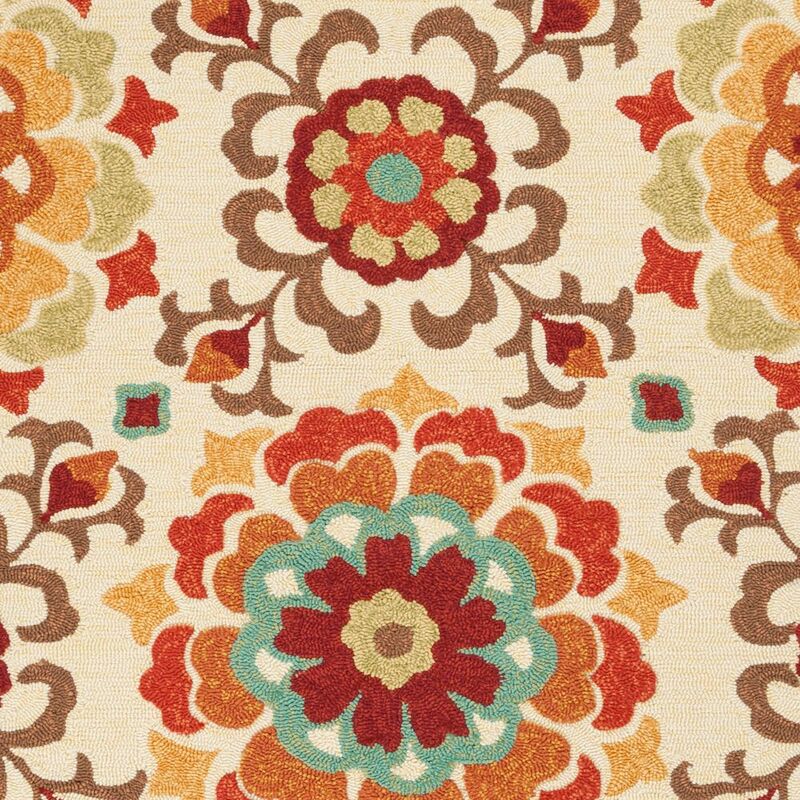 Make a bold statement with this floral plants patterned beige tan rug.